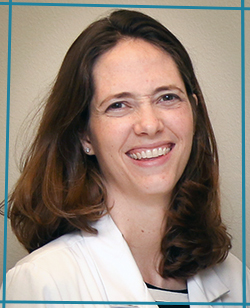 Dr. Emily B. Vigour has provided healthcare for children for over 8 years and has earned the love and respect of her patients on the West Bank. She continues that care with the opening of Vigour Pediatrics. Hospitalized newborns will be cared for by the neonatologists of West Jefferson Medical Center or by a covering pediatrician at Ochsner Medical Center West Bank. 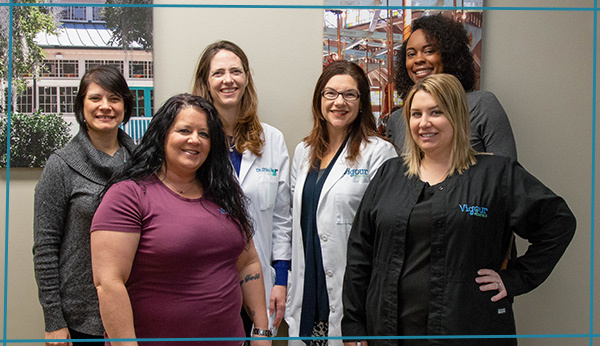 Dr. Vigour grew up in north Mississippi and received her doctor of medicine degree from the University of Mississippi Medical Center in Jackson. She is board certified with the American Academy of Pediatrics. She completed her pediatric residency at Louisiana State University Health Sciences Center where she worked at University Hospital, Children’s Hospital, and Charity Hospital in New Orleans, and Our Lady of the Lake Hospital in Baton Rouge. Dr. Vigour was honored with the Teaching Resident of the Year Award in her final year of training. She studied biology at Mount Holyoke College in South Hadley, Massachusetts. 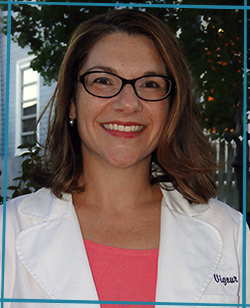 Jennifer O’Sullivan, M.D. joined Vigour Pediatrics in May, 2017. Dr. O’Sullivan began her medical training alongside Dr. Vigour in Jackson, MS at the University of Mississippi Medical Center nearly 18 years ago. She completed her pediatrics residency at Blair E. Batson Hospital for Children where she was honored with multiple awards for outstanding teaching and medical performance. Following completion of her training, she worked at Jackson Pediatric Associates in Jackson, MS for ten years. She earned a bachelor’s of science degree from University of Mississippi in chemical engineering. She lives in New Orleans with her husband, Sean, and their three boys. Click the button to log into our patent portal. Please feel free to email us with your medical questions or concerns. Dr. Vigour is contracted with most private insurances, as well as United Health Care Community Plan and Aetna Better Health. If you don’t see us in your insurance provider list, please call our office. In the event of a life threatening emergency, or if you believe your child is in immediate danger, please call 911. Or, if you can do so safely, take your child to the nearest ER. In the event of a non-life threatening emergency after hours, call 504-325-KIDS. Please have your pharmacy phone number available, in case it is needed. Every 4 hours as needed. DO NOT GIVE MORE THAN 5 DOSES IN 24 HOURS. Every 6-8 hours as needed. DO NOT GIVE MORE THAN 4 DOSES IN 24 HOURS. We have flu vaccine in for most insurance plans. Please call to schedule your appointment. Click the button below to download our new patient forms in PDF format. Please bring these with you to your first appointment. Click the button below to download our vaccine policy PDF format.